Bing Ads has launched a number of updates and improvements in order to help advertisers save time. The latest updates to Bing Ads allow advertisers to get a faster look at performance insights; such updates include improvements to the Overview tab and report downloading. Keyword Tile: Assesses and monitors the performance of top keywords within campaigns for an outlined metric. 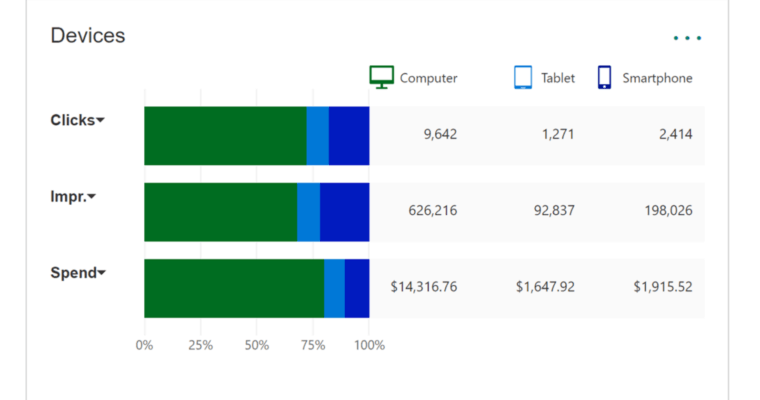 Top Changes Tile: Highlights the campaigns and ad groups responsible for the largest increases and decreases to performance metrics during a specified period. “What people searched” Tile: Displays the queries potential customers are searching for to trigger ads. Devices Tab: This is an update that now makes it easier to compare performance across different devices, e.g. smartphone, tablet etc. In addition to the Overview tab, Bing Ads have also made improvements to report downloads. Advertisers now have the option to save, schedule and share reports simultaneously. Once the advertiser has hit the Download button, users can save, schedule and share the reports with other Bing Ads users via email.